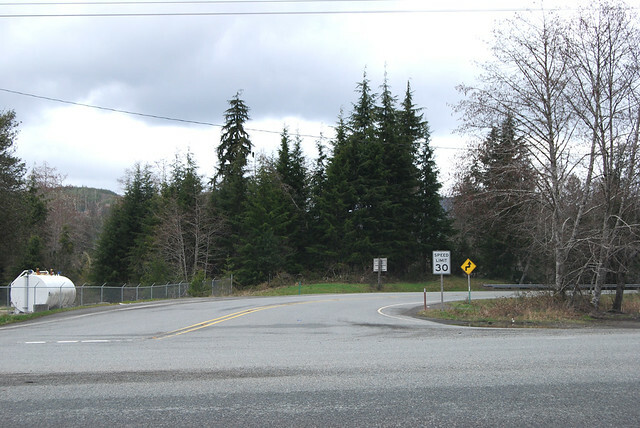 On Saturday, April 2, 2011, we drove Washington State Route 113, half of the Korean War Veterans' Memorial Highway, from just north of Beaver to a bit south of Clallam Bay. 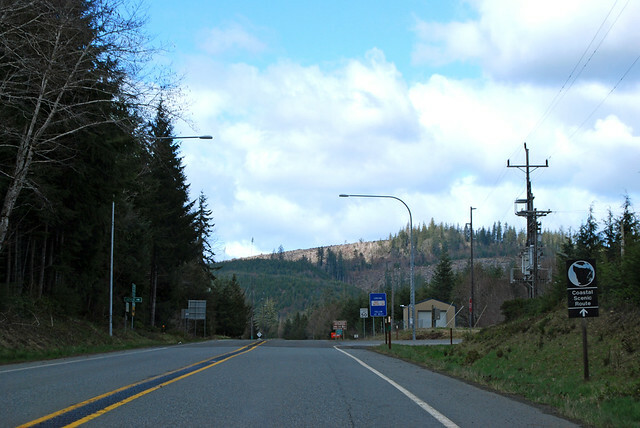 Here we are in the Soleduck Valley at US 101, about to set off on our journey north on SR 113. Lake Pleasant is off to the left. Lake Crescent is far off to the right. 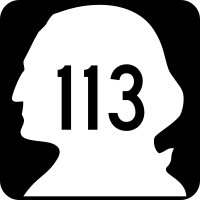 This has only been known as State Route 113 since 1991, by the way. Before that, it was known as Burnt Mountain Road. We leave the Soleduck Valley and climb gently alongside Beaver Creek, past Beaver Falls and Beaver Lake before reaching the halfway point of the highway. There are no junctions in the middle of the route, so we took this shot to show you what it looks like. It looks like forested hills. Just a little bit ahead is Burnt Mountain. We circle around Burnt Mountain and drop down into the Pysht River drainage. Very shortly we're at the end of SR 113. If you continue straight, you'd be on SR 112. If you turned right, you'd be on SR 112. 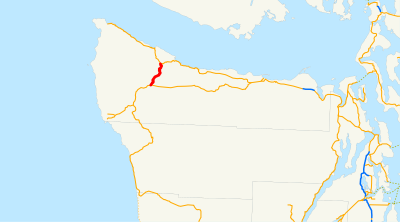 Either way will get you to the Strait of Juan de Fuca. 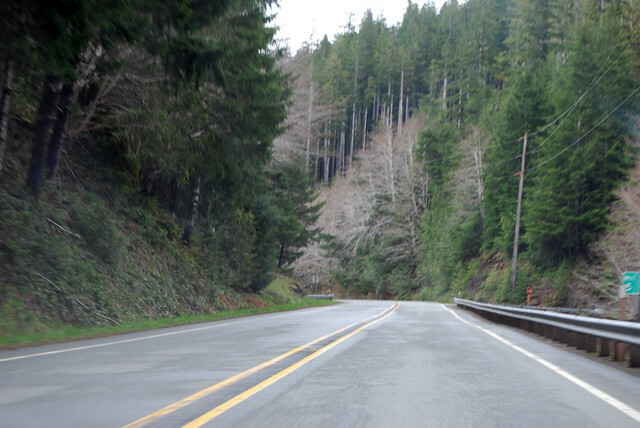 And thus ends our short-but-pleasant drive through the hills of the northwestern Olympic Peninsula. 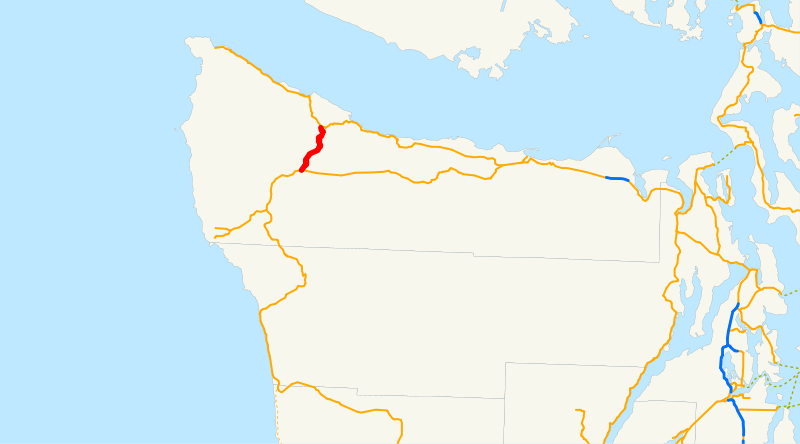 If you go, don't be confused by the road sign that says you're driving SR 112 instead of SR 113 -- or the road sign that says "Pysht Hwy Old Sappho-" instead of "Old Sappho-Pysht Hwy." Just stop at Beaver Falls and enjoy the skunk cabbage of Beaver Lake.